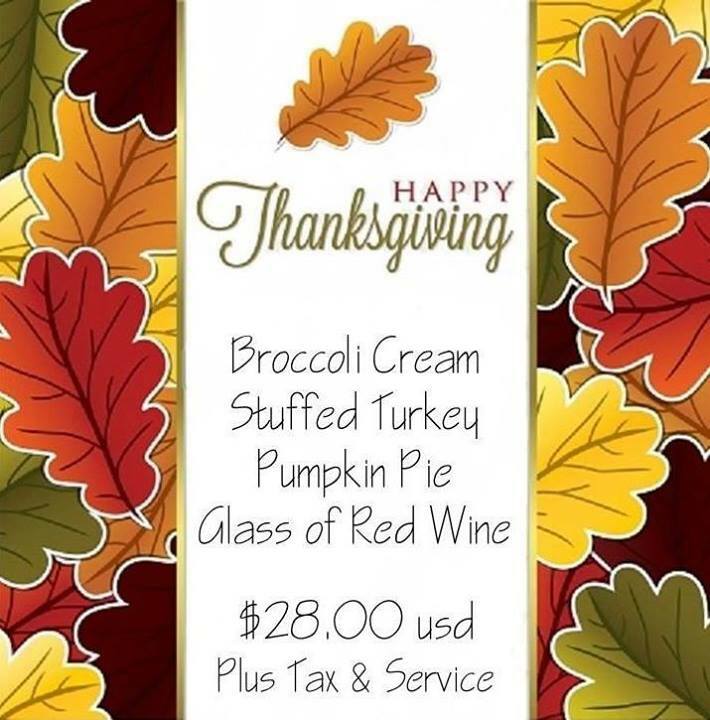 The holidays are almost here, come and celebrate with us starting on Thanksgiving day. Chef Roberto Rendon and the staff of Puerta Vieja Restaurant await for you with the special menu. Broccoli Cream Soup, Stuffed Turkey, Pumpkin Pie and a Glass of Red Wine. $28.00 USD plus tax and service. To make your Puerta Vieja Reservations Click Here! This entry was posted in Feature Events, Los Cabos Restaurants Events, Thanksgiving on November 18, 2013 by admin.